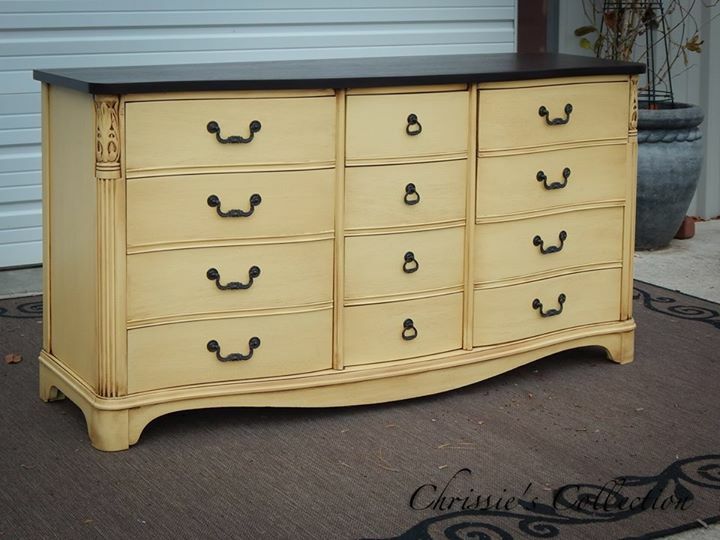 Chrissie's Collection﻿ painted this 12 drawer mahogany dresser with General Finishes Buttermilk Yellow Milk Paint. Love the antiqued finish and dark stained top. Such a stunning piece!